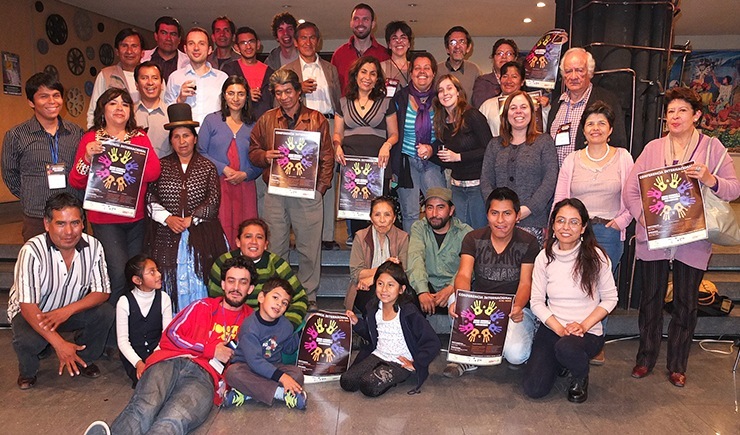 Activists in La Paz took action in solidarity with us in Edinburgh to mark the Forum on Natural Commons. They have been taking part in a conference on “Commons and new civilisatory paradigms” this week and took time out of their discussions on Wednesday to bring us a message of solidarity. You can read more about their work on their Facebook page. We hope to share photos and talks from tonight’s Forum event in Scotland over the next few days. Stay in the discussion at #notforsale. A big thank you to everyone who took part in last night’s Forum on Natural Commons. We had a fantastic evening joined by Brazilian activist Camila Moreno and our keynote speakers from around the UK and shared food and ideas. At the end of the evening we gathered together to send a message of solidarity from Scotland to activists in Warsaw defending nature at the the UN climate talks. A motion has been proposed to the Scottish Parliament by MSP Patrick Harvie concerned that putting a price on the environment is the first step towards turning it into a commodity to be traded on financial markets. We want to make the case to the Scottish Parliament that turning wildlife, forests, mountains and soil into commodities won’t protect nature. If you live in Scotland you can write to your MSP now by using the e-action on the WDM website by clicking here. As we make our last preparations for tonight’s ‘Forum on Natural Commons’ the World Forum on Natural Capital has also begun at the Edinburgh International Conference Centre. First Minister Alex Salmond will make the keynote speech at the conference, while corporations including RBS, Coca Cola, Rio Tinto and KPMG will be attempting to put a value on nature so that they can include it in their balance sheets. Some corporations and governments, including the UK, claim that if the natural world is given a financial value it is more likely to be protected. But campaigners from the World Development Movement, Counter Balance, Re:Common and Carbon Trade Watch believe this is the first step to creating financial markets in water, air, soil and forests, effectively privatising nature. In protest activists from the World Development Movement dressed as dodgy salesmen have been offering to sell Ben Nevis to the highest bidder outside the EICC (photos here). Loch Ness is also up for sale on eBay. Members of our organisations have been inside the EICC today and you can follow their thoughts on Twitter at #notforsale. They will also be attending the Forum on Natural Commons tonight to share their reflections the other conference. Registration is now closed: for those who can’t attend in person we hope to provide a live stream of the evening. As delegates arrive in Edinburgh the great nature sale has already begun online with Ben Nevis going for a song on ebay. Have you put your bid in yet? Supporters, speakers and organisers for tomorrow’s Forum on Natural Commons are also arriving coming from 14 organisations from across the Europe. We’ve also heard that we’re being joined by Brazilian activist Camila Moreno by video link from the UN climate change talks in Warsaw. If you haven’t yet booked you’ve only a few hours to do so and spaces are limited. We hope you’ll us. Our week of action and events is kicking off this evening with the Introductory Workshop at the University of Edinburgh. Spaces are still available and you can find out more on the workshop page. Meanwhile final details of Thursday’s Forum on Natural Commons are announced with Cllr. Maggie Chapman (pictured, centre) confirmed as moderator and Morag Watson (pictured, left), Common Cause confirmed as our final speaker. We’re also nearly ready to unveil our new photo exhibition which will be open to view over dinner at the Forum. The conversation is getting started online and offline. 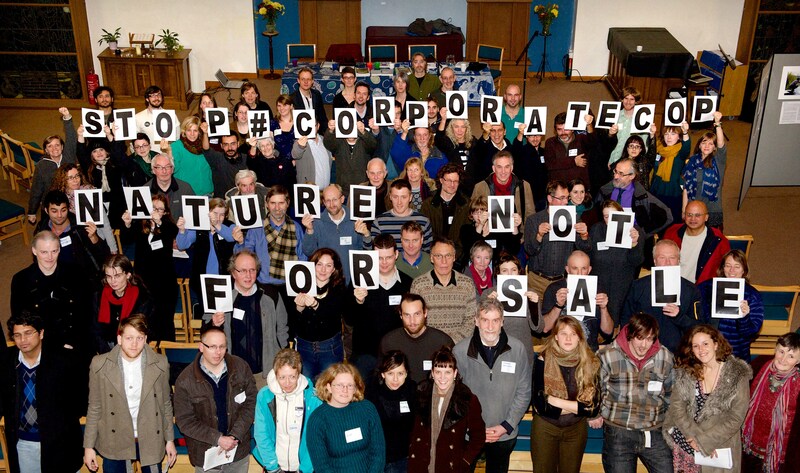 Join in on Twitter at #notforsale. Distinguished speakers from across Europe will be joining the Forum on Natural Commons including philosopher John O’Neill, University of Manchester (pictured, left). Speakers Dr. Mike Hannis, Open University and Bec Sanderson, Common Cause (pictured, right) will contribute their viewpoints on the value of nature and Tamra Gilbertson from Carbon Trade Watch in Barcelona (pictured, centre) will be sharing her experiences of monitoring the carbon trading in the European Union. We’ll discuss their contributions and those of our other speakers over dinner for an sociable and enlightening evening. Places are free but limited for the Forum so we strongly encourage you to register as soon as you know you’re coming. We very much hope you’ll consider it.